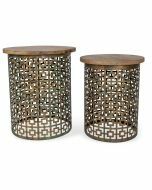 With this set of Iron Side Tables in your bedroom, you can accent your decor and keep the things you regularly use within arm's reach. 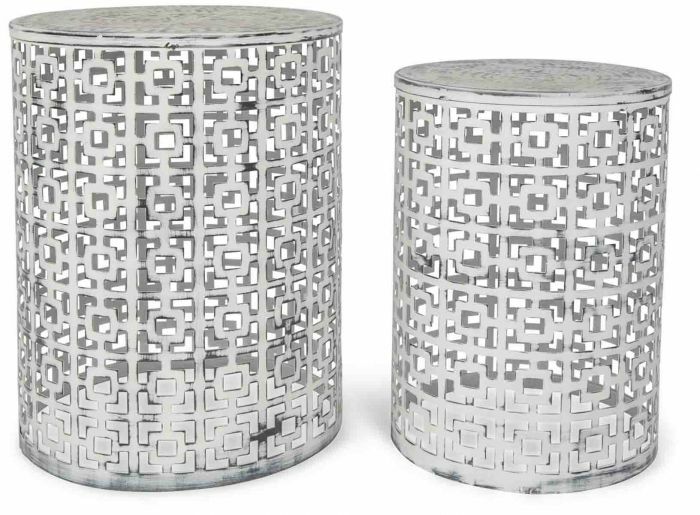 Instantly update the look of your bedroom with the stylish, contemporary design of these Side Tables. 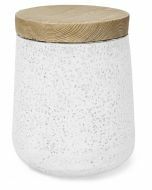 Available in a charming white wash finish with black accents that will complement any decor scheme, the Side Tables are manufactured from iron. 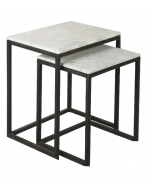 As sturdy and practical as they are elegant, the Side Tables feature a dramatic cut motif. 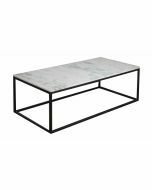 When you need small tables for guests, these two can do double duty as a spot to set down drinks or snacks. Weighing 4.8kgs, the two different-sized tables measure 35/30cms (L) X 35/30cms (W) X 45/40cms (H).